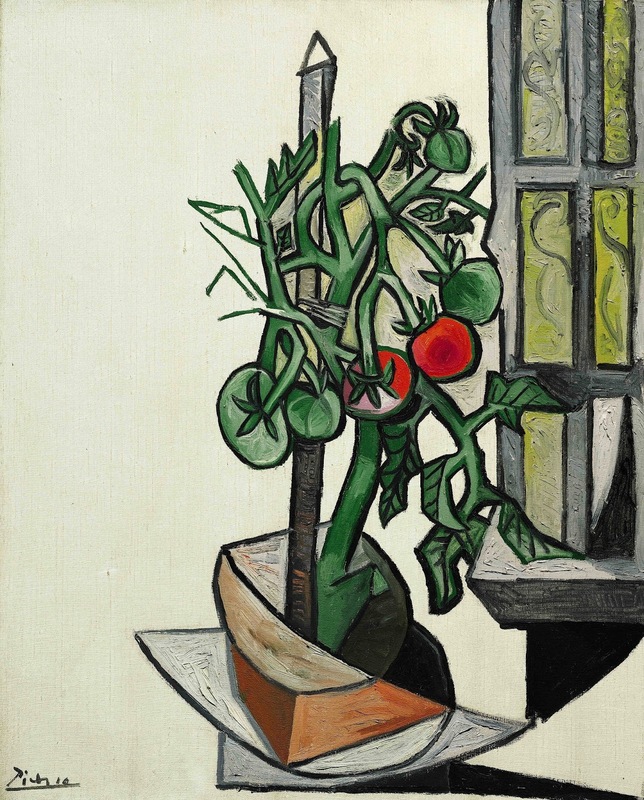 Between the third and twelfth days of August 1944 Picasso painted nine pictures of a tomato plant perched on a window sill, all on identically sized canvases, in vertical or horizontal formats (Zervos, vol. 14, nos. 21-29). Marie-Thérèse kept a tomato plant on her window sill. This was a common practice during the war, in occupied Europe as well as in countless "victory gardens" on the Allied home front, where such fresh produce was otherwise hard to come by. Picasso used this plant as his subject. He had already made a series of four blue crayon drawings of a tomato plant in his Grands-Augustins studio on 27 July (Zervos, vol. 14, nos. 13-14; fig. 3). In the entry of his Picasso memoirs dated 16 June 1944, the photographer Brassaï recalled, "A new 'motif' has made its appearance in the studio: two pots of tomatoes, no doubt a gift [possibly from Marie-Thérèse?]. On the long stalks, barely hidden by the leaves, a few tomatoes are beginning to ripen, turning from tender green to orange. 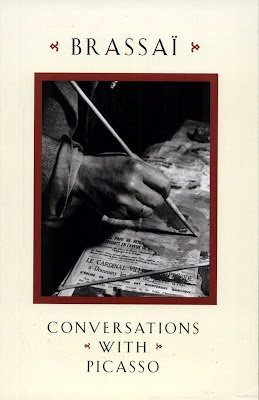 The studio is already filled with drawings and rough gouaches depicting these plants" (in Conversations with Picasso, Chicago, 1999, p. 196).